Every week, Canadian streaming services add new movies and TV shows to their catalogues. It can be a lot to keep up with, especially when new weekly content can come in the dozens. With that in mind, MobileSyrup is going to start highlighting some of the most notable films and series featured on streaming services in Canada. This column will typically focus on recent Netflix, Crave and Amazon Prime Video releases, although it may include other platforms depending on the circumstances. We’ll also make note of any content that has a Canadian connection, be it in terms of the cast and crew members or where it was filmed. January has been a pretty light month for Amazon Prime Video, but the streaming service does have one notable recent addition in the form ofthe third season of The Grand Tour. The newest season takes Jeremy Clarkson, Richard Hammond and James May to Detroit, Nevada, Mongolia, Sweden and Scotland, among other places. The full list of Amazon Prime Video programming for January 2019 can be found here. Black Monday focuses on the employees of a Wall Street firm in the year leading up to “Black Monday,” the day of the international stock market crash in 1987. The Showtime drama stars Don Cheadle, Andrew Rannells, Regina Hall and Paul Scheer. The first episode of the series is now streaming on Crave, with subsequent new episodes hitting the platform every Sunday at 10pm ET. It’s also worth noting that Vancouver-born funnymen Seth Rogen and Evan Goldberg (Superbad) are executive producers on the series. HBO’s Brexit drama takes a look at the lead-up to the historic “Brexit” referendum from 2016 that prompted Britain to leave the European Union. The film stars Benedict Cumberbatch, Rory Kinnear, Lee Boardman and Richard Goulding. The third season of Pete Holmes’ Crashing tells the semi-autobiographical story of a comedian (Holmes) who enters the New York comedy scene while grappling with his wife’s infidelity. The first episode of season three of the HBO comedy series is now streaming on Crave. New episodes will come every Sunday at 10pm ET. The second season of Frankie Shaw’s SMILF comedy series focuses on the struggles of a 20-something single mother (Shaw). Miguel Gomez, Samara Weaving and Rosie O’Donnell round out the main cast. The first episode of the second season of the Showtime series is now streaming on Crave, while the remaining episodes will hit the service on Sundays at 10:30pm ET. The full list of Crave programming for January 2019 can be found here. Netflix’s true-crime series Conversations with a Killer: The Ted Bundy Tapes dives into the mind of infamous serious killer Ted Bundy. The series incorporates archival footage, present-day interviews and audio recordings of Bundy, who was executed in 1989 after confessing to murdering at least 30 people. The fifth season of Netflix’s Grace and Frankie comedy series continues the story of two elderly women who become unlikely friends after their husbands leave them for each other. The series stars Jane Fonda, Lily Tomlin, Martin Sheen and Sam Waterston. Marvel’s The Punisher returns for its second season which sees the titular character (Jon Bernthal) drawn back into the criminal underworld once he saves a young girl named Amy (Giorgia Whigham) from a shady gang. Ben Barnes, Amber Rose Revah and Josh Stewart also star. 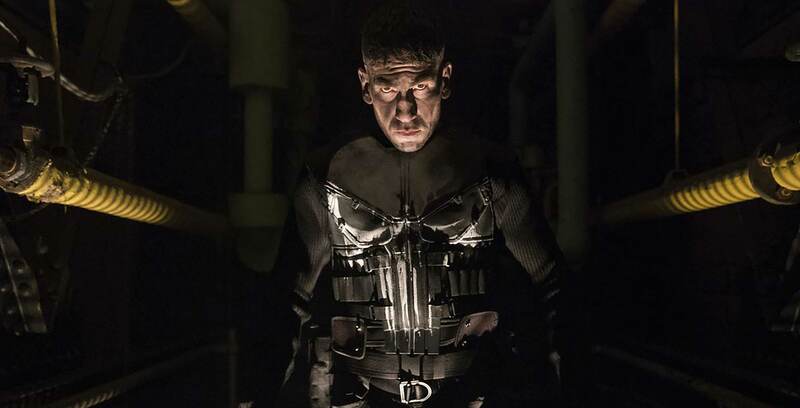 It’s worth noting that this may very well be the last season for The Punisher on Netflix, given that the streaming service has already cancelled three of its other Marvel series. The remaining six episodes of The Unbreakable Kimmy Schmidt‘s fourth and final season have just hit Netflix. Find out if Kimmy (Ellie Kemper) finally gets her happy ending. Tituss Burgess, Carol Kane and Jane Krakowski also star. The full list of Netflix programming for January 2019 can be found here. What have you been streaming this week? What are you looking forward to checking out? Let us know in the comments.